America’s fascination and intrigue over the Kennedys never seems to die down. But it’s easy to see why. This was one stylish family after all. 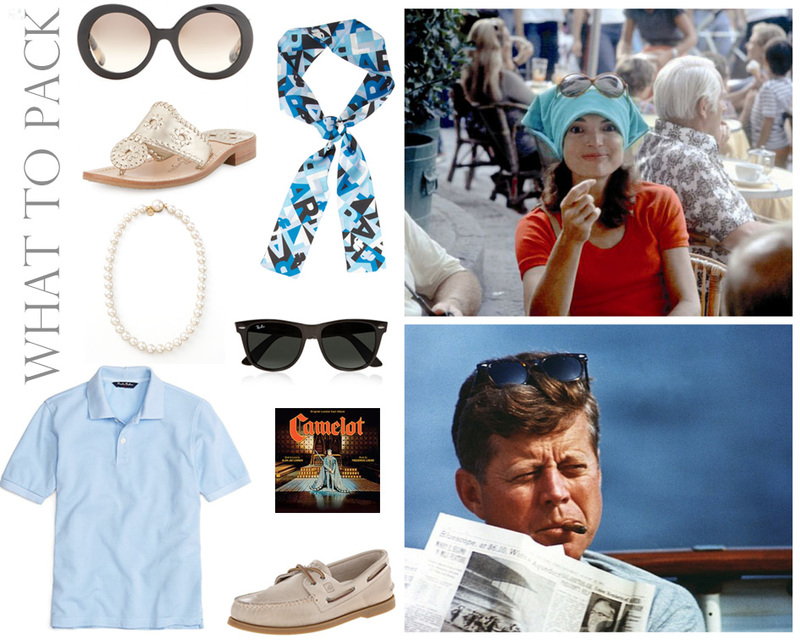 If you’re planning to take a trip this summer, why not vacation like a Kennedy and explore one of JFK and Jackie’s favorite haunts! Jackie spent her childhood summers in Newport at Hammersmith Farm and it was also the location of her wedding to Jack. If you make it to Newport this summer, here are my recommendations for a Kennedy-worthy vacation. Where to Eat: The Mooring, The Black pearl, and don’t forget to have brunch at Castle Hill. What to Do: One of the best things to do in Newport is get out on a boat. Your guide will likely take you by Jackie’s old estate and if you do an evening cruise I can almost guarantee that you’ll see a nice sunset. Wander through town and make a visit to St. Mary’s church where they got married. Don’t forget to do the cliff walk for amazing scenery and views of incredible mansions. Don’t forget to hit the links or play tennis. 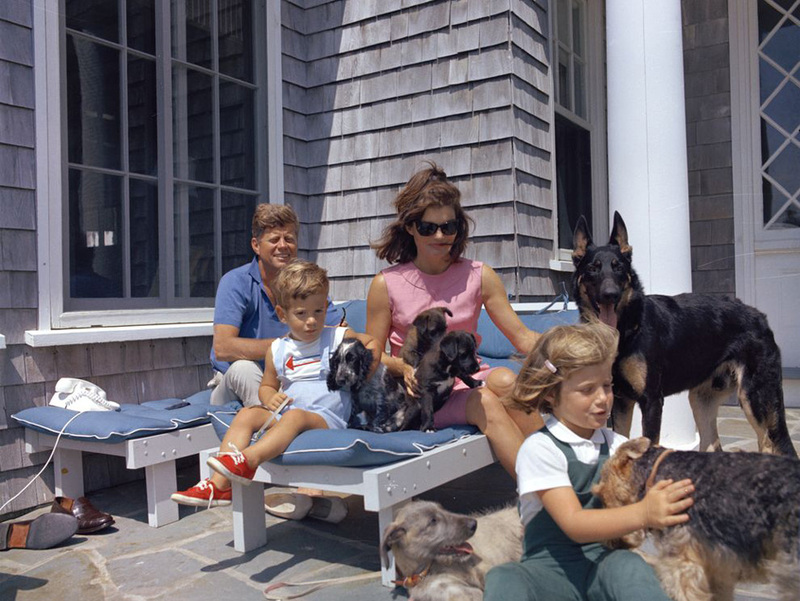 Two more quintessential Kennedy activities. 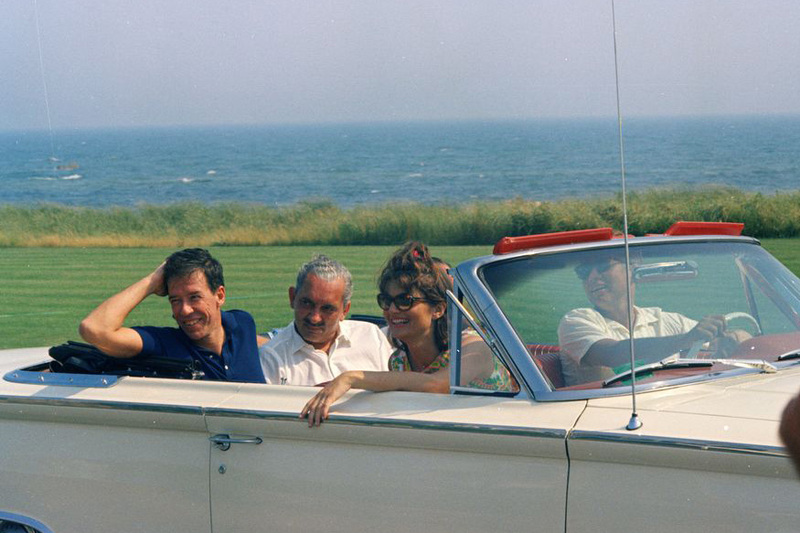 Hyannis is the location of the Kennedy Compound. 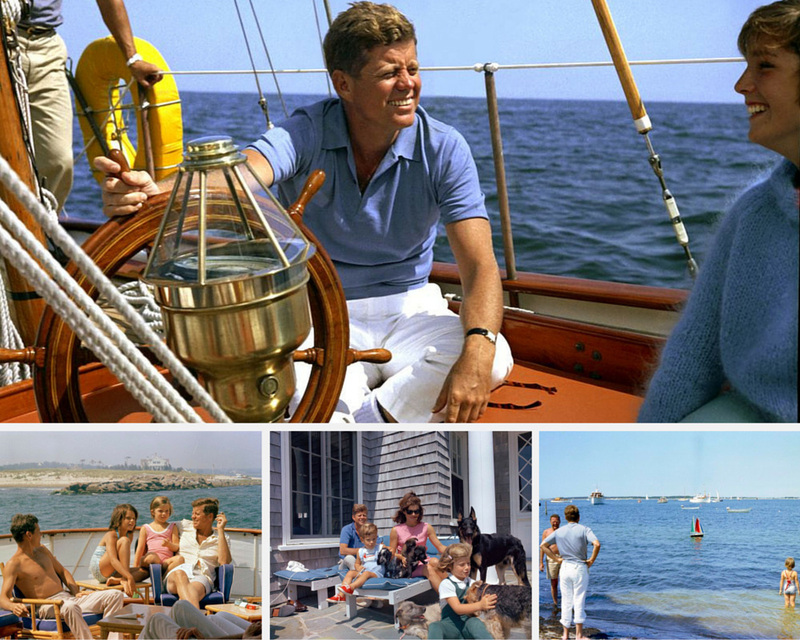 JFK once said he “always go to Hyannisport to be revived, to know again the power of the sea and the master who rules over it and all of us.” While that quote alone could easily lure us to Hyannis, I actually recommend skipping that town and staying in Chatham. Wait! Why? For one thing, you can’t actually see the Kennedy compound from the street and I think Chatham is a better home base for your first visit to the Cape. Where to eat: Del Mar for a nice dinner or the Squire for something casual. Don’t forget to stop for ice cream at Emack & Bolio’s. My favorite is Cosmic Crunch, but there are all sorts of good flavors to try! I’m also a big fan Land Ho! in Orleans (a short drive from Chatham). Don’t forget to order Clam Chowder–it’s said to be one of JFK’s favorite things. What to do: You definitely need to have a beach day if you visit the Cape. You also have to make time to stroll through town and check out the charming boutiques. If you’ve got an extra day or two Martha’s Vineyard is only a short ferry ride away and the Kennedy’s have a lot of history on this little island as well. Where to eat: The Red Cat kitchen at Ken N’ Beck, The Net Result for takeout, Offshore Ale Company, and the Black Dog Tavern. 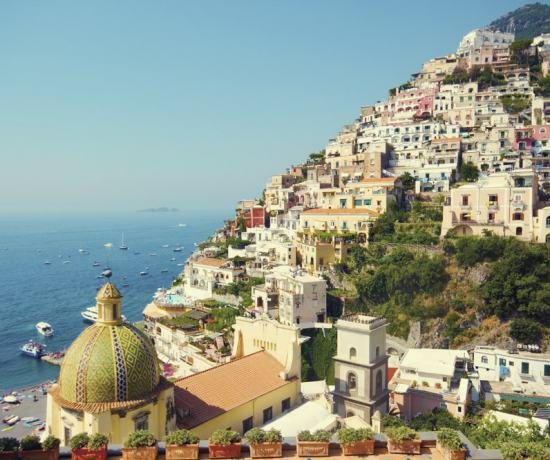 What to do: Rent a Vespa and zip around the island, hang out at the beach, and stroll through downtown. When in doubt, splurge for the convertible! What a super fun post!! I’ve always been a huge fan of Jackies style. I love the whole New England area and spent many years there during college. This was really inspiring!! Thanks so much for sharing with us on #stylefocus. Thanks, Jennifer! 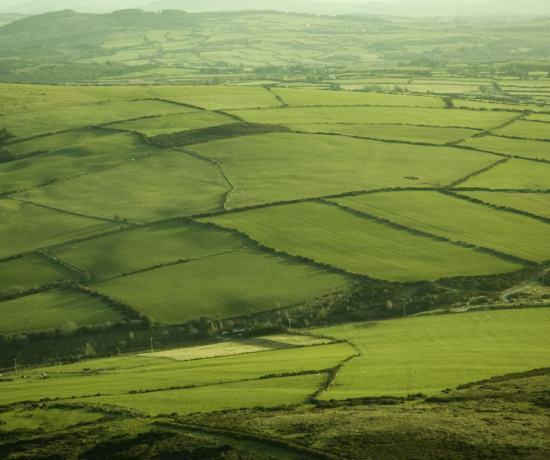 Agreed – the New England area is fantastic! How great that you got to go to college out there!